First I thought it was a cool loader. Then I realised I'd heard the music before; a fantastic piece of jazz from Kenny Dorham. Then the words started and I was blown away. There's no point in me trying to explain the site - just go and have a look! 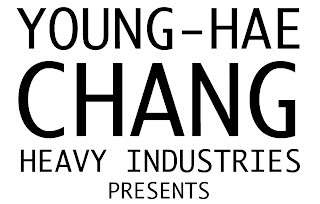 For other Young-Hae Chang Heavy Industries productions, go here. I thought the same thing when I first saw it - but it struck some sort of chord with me. I love the simplicity. I love the white space. I love the copy/text driven visual.